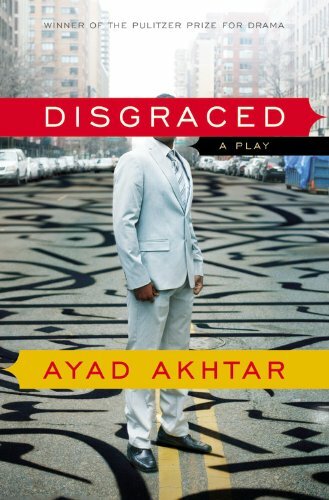 high-tension socio-political drama as race, religion, law, and art collide. Truths are revealed, tempers erupt, and lives are poised to shatter as everyone gets caught up in the conversation. Suhail Arastu (Amir) appeared in From the Mahabharata with Attic Rep in the Tobin Center. He has performed for Luminaria, Diwali (Indian Festival of Lights), and often serves as a Master of Ceremonies for events in the performing arts and non-profit communities. He is intrigued by the neural networks of jellyfish. This is his Cellar debut. Kate Glasheen (Emily) is pleased to make her Texas acting debut in Disgraced. In addition to her many regional credits as an actor, Ms. Glasheen is a dialect coach and an Assistant Professor of Acting at Texas State University. Training: The Royal Central School of Speech & Drama, London, U.K. (MFA), Butler University (BA) Follow her on Twitter @kateglasheen2. Luis Legaspi (Abe) is a senior at UTSA majoring in British Literature, with a minor in ESL studies. Disgraced marks his first performance in the Cellar but was previously in Disney's Beauty and the Beast in the RHR. Some of his favorite roles include Andrew in American Idiot, Bao Tu in Miss Saigon, Riff Winkler in Make Me a Musical, and Ensemble in In the Heights and Catch Me If You Can. He would like to thank his family and friends, especially his Grandfather who always encouraged him to be an actor, and never lived to see him on stage. Humble, TX native, Nicholas Szoeke (Isaac) is making his Cellar debut after appearing in The Secret Garden (Archibald) in the RHR. His favorite credits include Street Scene (Sam), A Little Night Music (Henrik), and Don Giovanni (Don Ottavio). Nick would like to thank his fantastic teachers for their guidance and his loving family and friends for all their support! Megan Van Dyke (Jory) is excited to be making her return to The Playhouse with Disgraced. She began training at the Filmore Arts Center in Washington D.C. and embarked on her first national tour at 15, acting and dancing. She would like to dedicate her performance to her uncle, who passed during rehearsals.